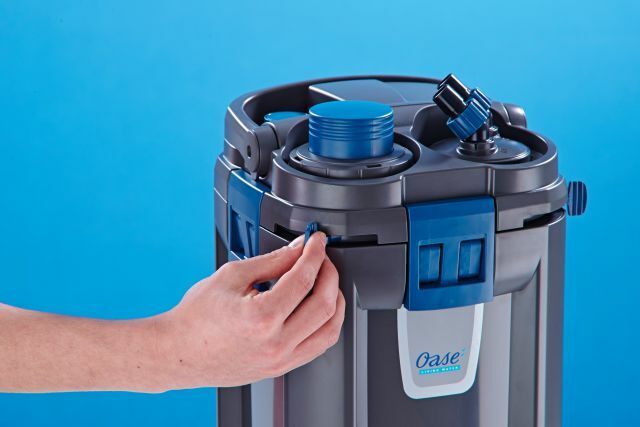 Apart from the FiltoSmart-series by manufacturer Oase we also offer the BioMaster- external filters in our shop, which we’d like to introduce shortly. 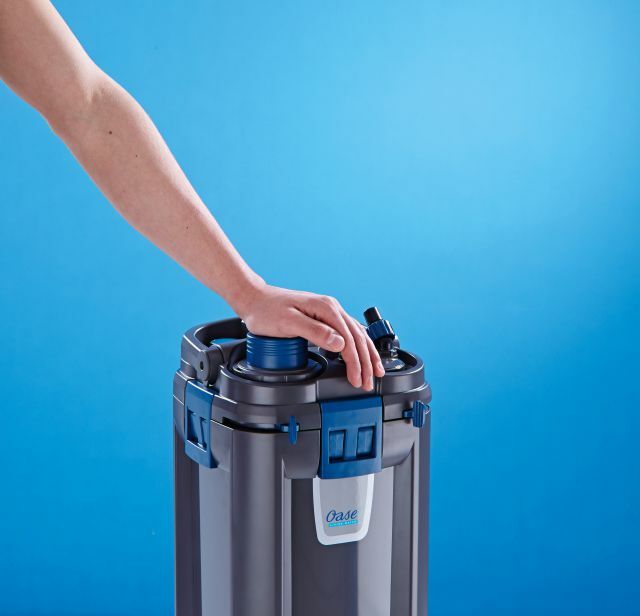 While the FiltoSmart external filters are designed for small to medium-sized aquariums with a capacity of up to 300 liters, the BioMaster product series is designed for larger tanks with 250 up to 600 liters. 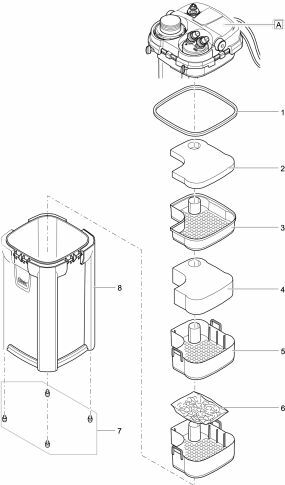 It’s comprised of the models BioMaster 250, 350 and 600, with the digits plainly stating the maximum tank size for each filter. 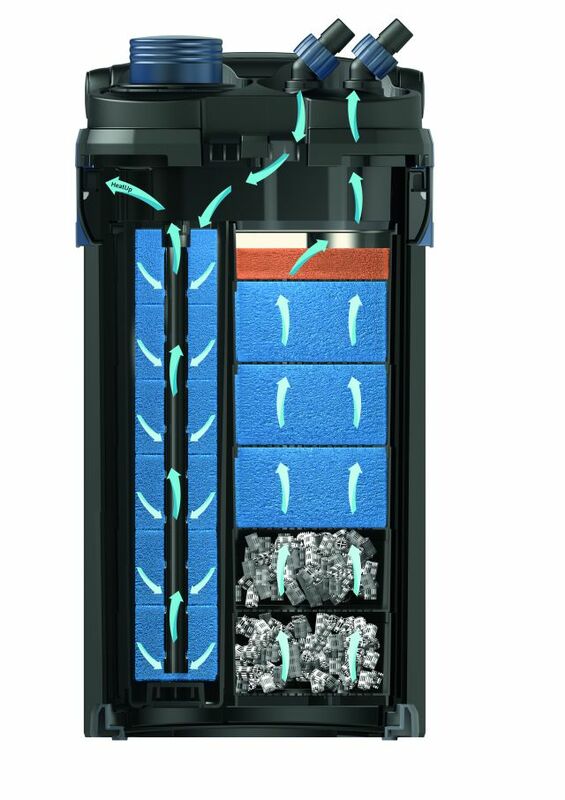 In addition to a large filter volume, these filters are characterized by easy pre-filter cleaning. Each model is also available in a a thermofilter version or easily retrofittable with a HeatUp heater. 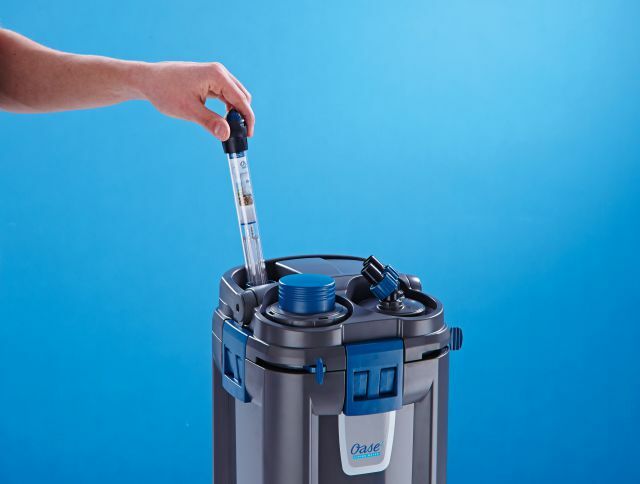 In addition to the regular filter chamber, which is filled with various sponges and Hel-X biomedium, the BioMaster-external filters are also equipped with a pre-filter in a cartridge. 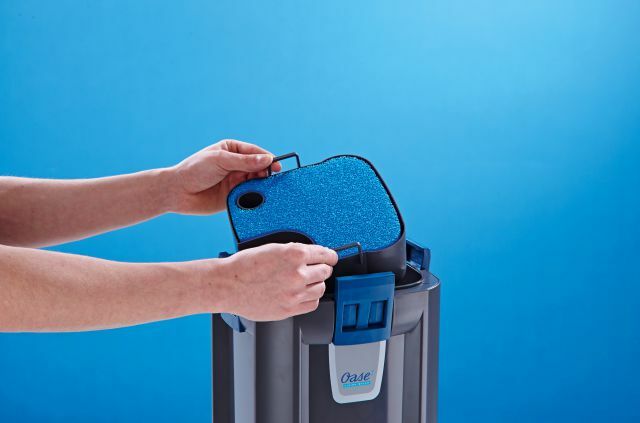 For replacement or cleaning, this can be easily removed from the filter without having to open it laboriously. To remove the cartridge, the connection unit is first locked so that no undesirable water leakage can happen. Then the cartridge is unlocked on the other side. 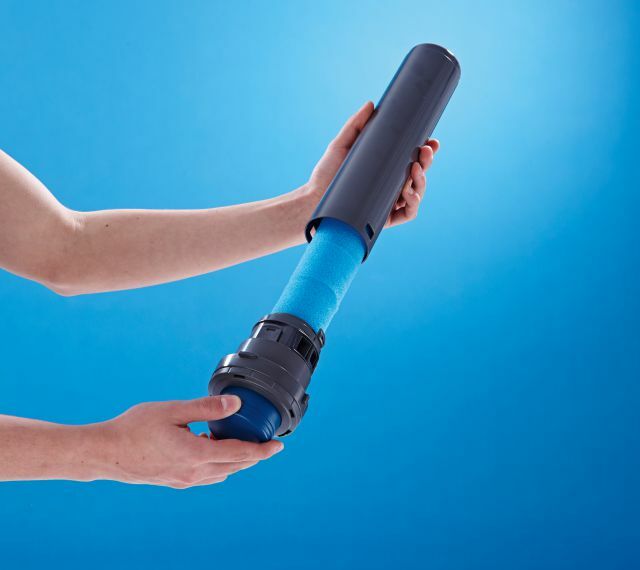 Now you can pull the prefilter cartridge out of the housing of the external filter. 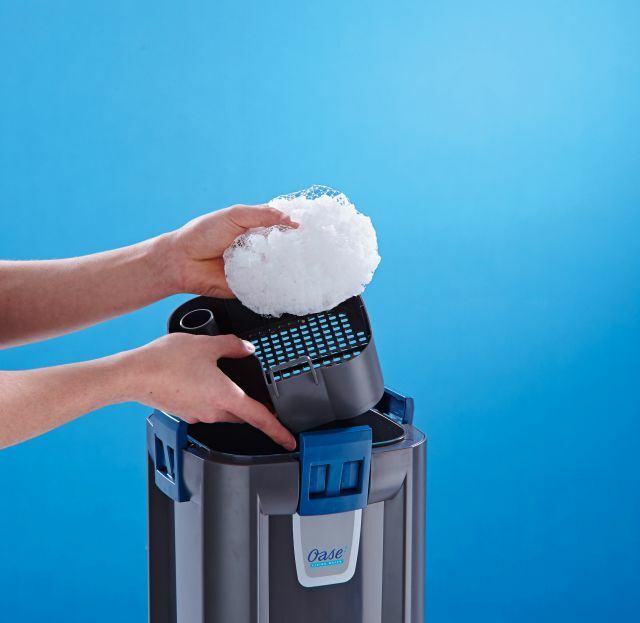 After opening the cartridge of the prefilter you’ll be able to reach the filter sponges, which can now be easily cleaned or replaced. All external BioMaster filters are also available as thermofilter variants. Alternatively, regular models can be retrofitted with a suitable HeatUp heater into a thermofilter. Especially in the case of a defect, this makes the replacement of the heating unit much easier. Additionally it won’t be necessary to send in the whole filter for repairs. 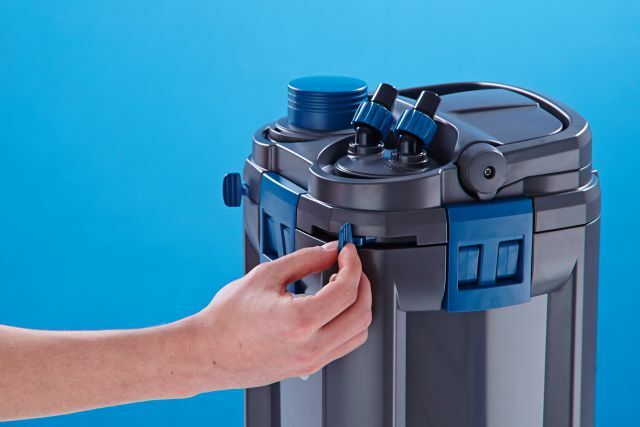 The BioMaster external filters are equipped with differently sized sponges in filter baskets. The amount of baskets differs from model to model. Before startup, rinse all filter media thoroughly. Another component of the filter media are the so-called Hel-X-Biomedium. These serve the purpose of biological filtration and should always be put into the filter dish in their bag. 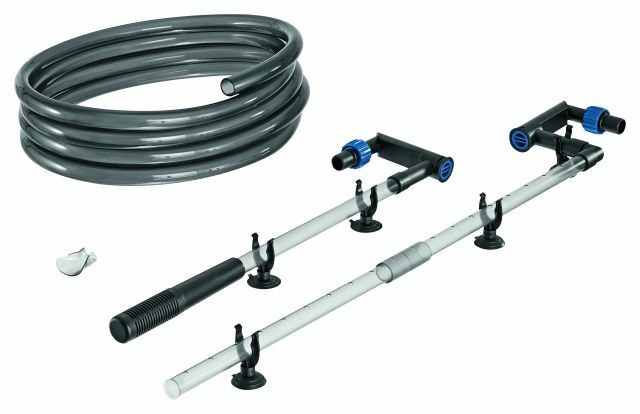 The scope of supply also includes an intake and an outlet unit as well as suitable hoses for connection to the filter. Inlet and outlet are each attached to a fixed, square hose guide with integrated flow control valves. You’ll also have the choice in the outlet unit between a water distributor with punctual flow behavior or a jet pipe, which produces a more planar flow. The hose size used in all models is the standard 16/22 mm. 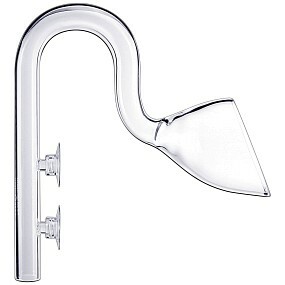 Upgrading the filter with more visually pleasing glass Lily Pipes in the 17 mm version is possible without any problems. 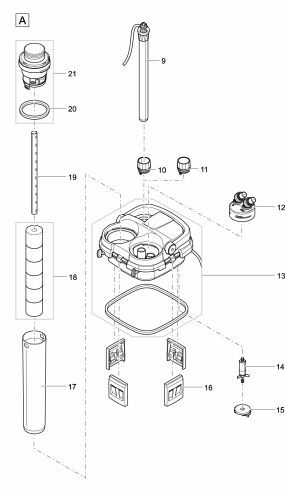 The BioMaster external filter in the top view, bottom left is the suction button for venting, connection unit for the hoses on the right. 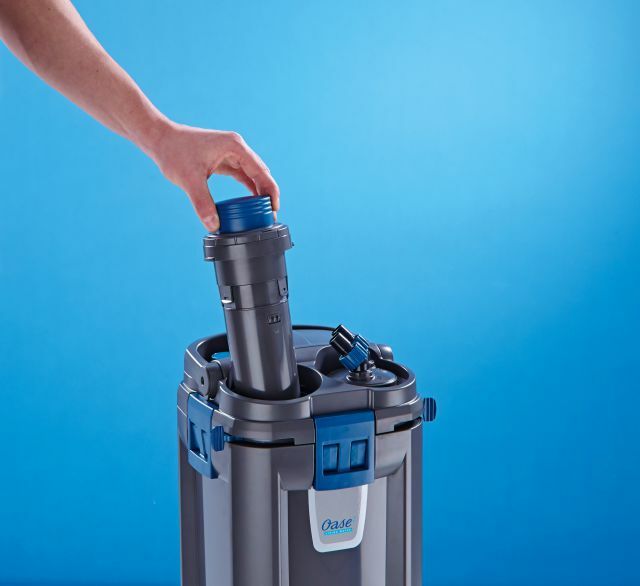 When all hoses are connected and the intake and outlet unit connected, the BioMaster external filter can be put into operation. In the still switched-off mode, the filter and all water pipes are flooded by pressing the suction button once. Afterwards the power cord can be connected to the mains. Of course, the manufacturer provides a comprehensive range of spare parts. 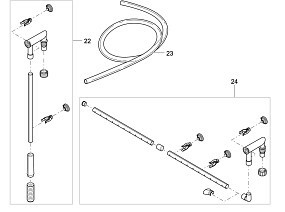 Oase’s homepage lists the spare parts for every available model, numbered and explained by drawings.